I’ve only recently started reading it, but already in the first 3 pages of the first chapter, Ed Catmull has told a great story about a particular barrier, the problems it caused and how in the end the issue was resolved. The story revolves around a table, not just any old table but one that was specifically chosen by a designer that Steve Jobs liked. It sat in what was known as the ‘West One’, a large conference room at Pixar’s HQ. It was long, thin and elegant. 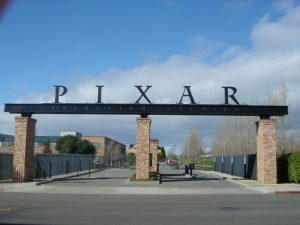 Around or a rather along its two sides, regular meeting were held to discuss various Pixar movies. As it was important that the director and producer of the film under discussion were at the heart of things, they always sat in the middle. Also in the centre were John Lasseter, Pixar’s chief creative officer, Catmull, and some of Pixar’s other most experienced directors, writers and producers. To ensure these people got their spaces someone started making and putting out place cards. For around a decade this was the way all meetings were set out. 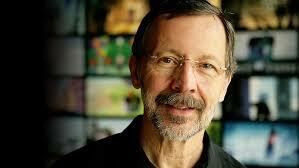 Looking back, Catmull is honest enough to admit that those sitting in the middle were at the time completely unaware of how this sent out a signal that completely undermined one of Pixar’s core principles – namely that when it comes to creativity, job titles and hierarchy are meaningless. He now realizes that he and the others sitting in the middle could see the ‘sense’ and convenience of the place cards but didn’t see anything amiss, believing themselves in an inclusive meeting. Others sitting at the end had a different perspective and saw quite clearly, how the relative positioning of key people and the place cards established a pecking order and presumed that is the way it was meant to be. By chance one day the meeting was held in another meeting room, which was not only smaller but had a square table in it. Hearing the improved interplay between the team and the broader range of contributions, Catmull and Lasseter could now see what had been wrong with the previous arrangement. The long table was moved out and a new square table replaced it. However it wasn’t until Andrew Stanton, writer and director of A Bug’s Life, Finding Nemo, and WALL-E (2008), co-writer of all three Toy Story films and one of the previous “table-centrists” entered the room and started randomly redistributing the place cards was the whole problem solved. And the moral is sometimes you can’t see a problem even if it’s right before your eyes. John Adrian Shepherd-Barron’s was letting off steam while sitting in steam. It was 1965 and bank kept strict business hours. 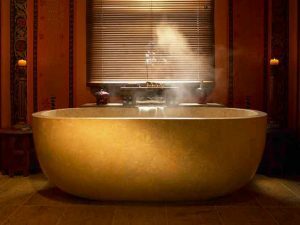 Shepherd-Barron had failed to get to his branch on time to withdraw the money he needed, so still fuming he had returned home and decided to take a bath. A contract was quickly drawn up and signed, over a pink gin according to some versions of the story. 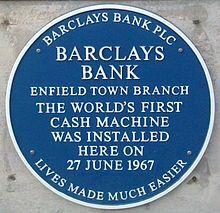 It wouldn’t however be till 1967 the first ATM would be installed at a Barclays branch in the north London suburb of Enfield. 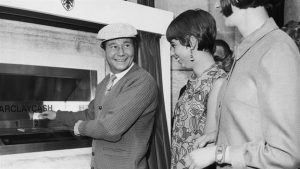 Reg Varney, from the successful television series ‘On the Buses’, was hired as the celebrity to be the first person to withdraw cash. 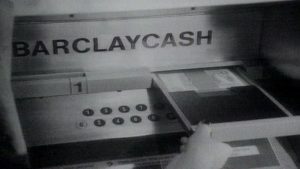 The machines worked with cheques, Each cheque had to be impregnated with a mildly radioactive chemical – fortunately it was one that was harmless to humans. The cheques were also encoded with a personal identification number (PIN) that the user had to key in. It was Shepherd-Barron’s wife who suggested that a four-digit code should be used as she thought that six figures would be too many for most people to remember.